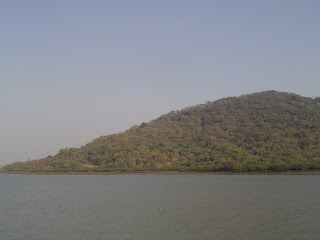 It takes an hour by boat to get to Elephanta. Once on the island, you climb a set of 120 steps up the hill, to the cave that houses a fourteen hundred year old temple to Shiva. There is something quite poetic about the idea of "crossing a sea, climbing a mountain, entering a cave" to see God. It is a journey across, upwards, and inwards, and the sculptures that await at the end are a magnificent reward. Shiva is such a paradoxical, puzzling God! In the first place, he is both male and female. He is angry and happy, forgiving and vengeful, creator and destroyer, an ascetic and a skilled lover. It doesn't make sense! Or perhaps it makes enormous sense, because we're all a bit like that? 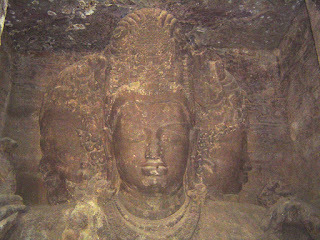 In any case, Elephanta mirrors all of his contradictions with art that simply blows me away. I have heard that the place is now spilling with tourists . Is it ? Nitya - Elephanta is stunning, no matter how many other people are around. This country is like a burrow of ants :) there are people scurrying around everwhere! The best way to do Elephanta if you want a little peace and quiet is to take the first boat out at 9:00 a.m. Tourists - especially Indian tourists - usually take the 10:00 or 11:00 a.m. boats. Personally, I like the ride in the boat where there are lots of people sitting and I watch and make secret guesses about where they come from, what they do for a living, how they're related to each other etc. There are newly married couples, lovers, multi-generation families, all adding quite a bit of colour to the Elephanta visit. 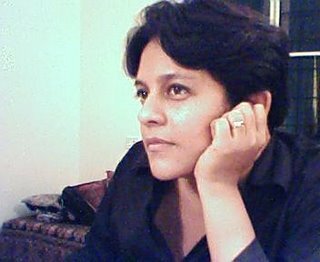 is it safe for women to travel alone.? Yes it is very safe for women, the ferry always has lots of families and tourists, lots of kids etc. It's a nice experience. The boats are not modern, they are old outdated clunky ferries.